Want your grammar lessons to be a little livelier? Want students to move a little bit in your class & have a little laugh after a long day? Want them to cooperate & perform peer-correction? 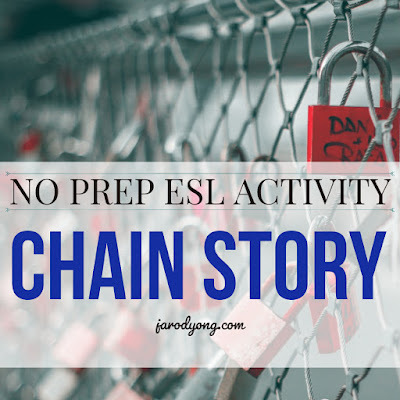 Perhaps you should consider this engaging No Prep ESL Activity! This is an activity that can be easily adapted for higher or lower proficiency levels! It's perfect for assessing grammar: tenses, conditionals, SVA, conjunctions, prepositions, etc. It's always better to start as a class activity, especially if students are unfamiliar with the activity. Explain to your ss: "We are going to do a writing activity next and I want to see you use the grammar aspect that we've just discussed. We are going to write a story together. Each student can only write one word (or sentence depending on your class size/proficiency level) at a time. You will have only 10 minutes to finish the story so you'll have to think and move fast as a team." T models the first word/sentence (depending on student ability). Pass your marker to the first student & start the timer. Once that student has written a word/sentence. She will automatically pass the marker to the next in line. (If you have a big class, you can divide the class & run 2 simultaneous stories.) Monitor the ss as they perform the activity. Make sure that every student gets a chance to write. Once the 10 minutes are up, pair the ss up. Instruct them to check the story & verbally correct it with their partner. As a class, perform the necessary corrections on the story. Highlight the use of targeted grammar. As a class, read the story chorally. Place ss into groups of not more than 5. Ss pass around a piece of paper & perform the activity (Steps #1-4) in their small groups. After they've revised their stories, have each group share their story. 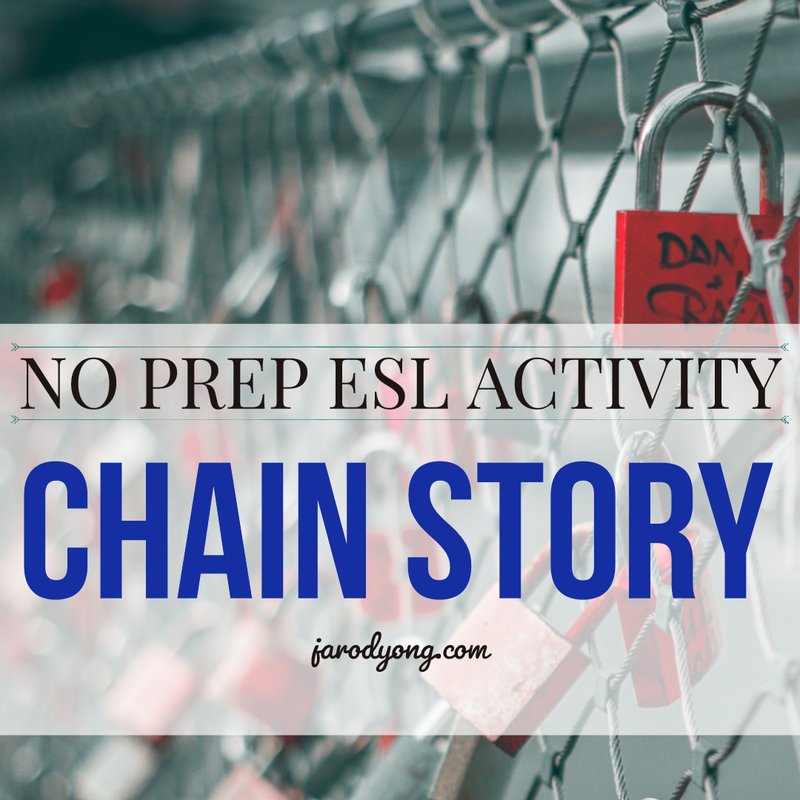 After each sharing, elicit from the class the targeted grammar used in their story. An extended individual writing activity based on the targeted grammar.